BIG in LIFE and in EDUCATION? When it comes to parenting, giving your child the best IS possible—without tears and tantrums. Imagine a parenting experience that allows you to ensure the best for your kids, while also ensuring you feel peaceful, happy and fulfilled? I am here to make it come true. AND ENSURE YOUR CHILDREN GET THE BEST OUT OF THEIR EDUCATION AND THEIR LIFE. My program will help your child become more focused and motivated and will give you the tools to know how to manage difficult situations. Do you want to know more about this personal transformative program? I help ambitious, capable moms who want to help give their kids the best when it comes to life and education. They understand the power behind having the right success mindset to achieve the results they want, but don’t necessarily know where to start. 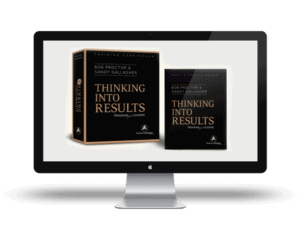 Thinking into Results by legendary Bob Proctor from "The Secret " works because it focuses on results. Not any results. Results that stick. When you work with me using the Thinking into Results program you get all of the above and more for your child. Me as your personal educational consultant, so I can ensure your smooth transition into this new parenthood experience. No sweat, no blood, no tears, no years of trying. Would you like to find something that cuts through the noise and guarantees you get the results you really want for your kids? This truly is the ONE and ONLY complete mindset makeover program, tested and PROVEN with children for school and for life, that builds your CONNECTION with your child and puts him/her on the path of imminent SUCCESS. All within 24 weeks, you get results that STICK for life. Skilled and experienced instructors—Acclaimed teacher Bob Proctor, Proctor Gallagher Institute President and CEO Sandy Gallagher, and Nebila Dhieb PhD educator and PGI Consultant. Together they present an innovative, 12-week development program for you and your child. and move you towards achieving quantum leaps. Benefits: closes the gap between what you know and what you actually do and helps you implement what you already know. Benefits: replace non-productive habits with productive habits in job/business, studies, and other areas of of life. Benefits: teaches how to break from ineffective past results and habitual behaviors to reach peak performance. Benefits: develops creative, innovative, solutions to problems to increase success and happiness. 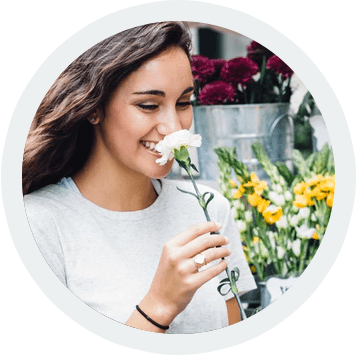 Benefits: helps understand the importance of self-image in becoming more successful and productive, and walks you through the process of building a new self-image. Benefits: gain understanding of the fears and learn to take action in spite of those fears, to become more forward thinking and realize more of one’s potential. Benefits: helps understand the connection between one’s beliefs and behavior to create the results one is capable of creating. Benefits: explains what is attitude, and how we can change it, and shows the way of creating a positive attitude regardless of the situation. Benefits: helps individuals develop qualities of leadership in addition to being able to also be a good follower, and be appreciated for who they are and the work they do. Benefits: emphasizes the importance of giving with no expectation of return, and give more than expected leaving people better than they found them. Benefits: lays out the steps for quantum leaps in success, leading to dramatic, empowered, increases in performance, and results. Overall benefits: Thinking Into Results promotes individual growth that makes a meaningful difference in each individual’s life. It allows them to create desired results and helps their family do the same. The lessons focus intensively on a single essential element of the achievement process, with each lesson building upon the insights of the last. The worksheets will challenge you to immediately apply what you learn, so you see and feel your child changing, progressing, and moving closer to their goals in real time. They can be viewed twice a day, morning and evening, to motivate you and reinforce the lesson content at multiple levels of consciousness –a critical key to achieving change quickly and making it permanent. on your child’s journey to achievement. In fact, you will experience a quantum leap in your kids’ results at school from the first moment he or she begins this program. 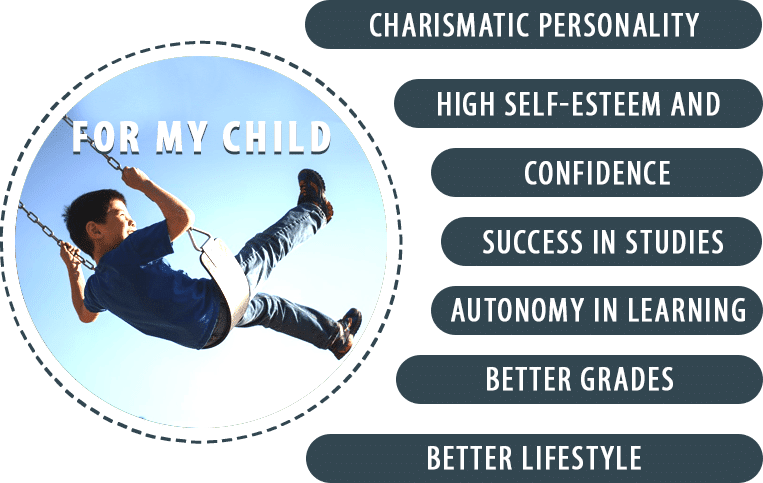 Your child will QUICKLY and AUTOMATICALLY form the habits that lead to long-term success in education, and prosperity and abundance in life. With Thinking into Results, you help your kids to permanently possess the power to get anything they truly want, in any area of their life, for the rest of their life. Combining his formidable research and experience with Sandy Gallagher’s 25 years of expertise in the worlds of billion-dollar business transactions and elite academia, Bob and Sandy have, in Thinking into Results, created a comprehensive systematic approach to real transformation unlike any other. 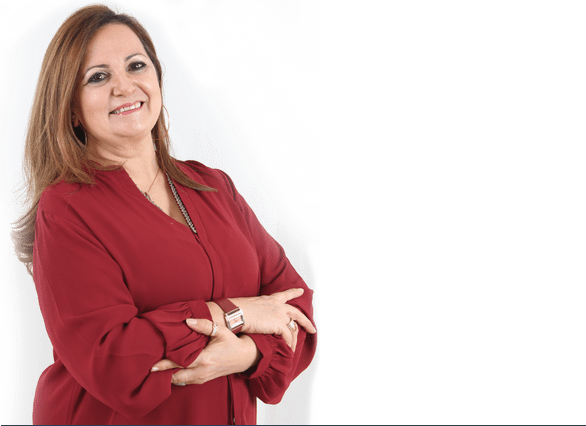 Nebila Dhieb PhD is a holder and certified PGI THINKING INTO RESULTS for radical personal transformation consultant. She is on a mission to help individuals, parents, and schools create enjoyable learning experiences for their children. Whether you know exactly what you want to achieve, or simply know that you want something more for your children, Thinking into Results will open your mind to all you are capable of doing…then empower you to DO it. Decide right now to astonish yourself. With what you can become. What you can do for your kids. What you can have. Start Thinking into Results, and start moving from where you are in life to where you really WANT to be. 24 weeks will fly by before you know it. But the change you’ll experience will last forever.